Wartburg College is proud to offer speaking and training services. Coach Jim Miller serves as an ambassador for the college while providing a variety of services for corporations, professional organizations, and non-profits. In addition, we can arrange for your group to conduct an on-site retreat at Wartburg College. 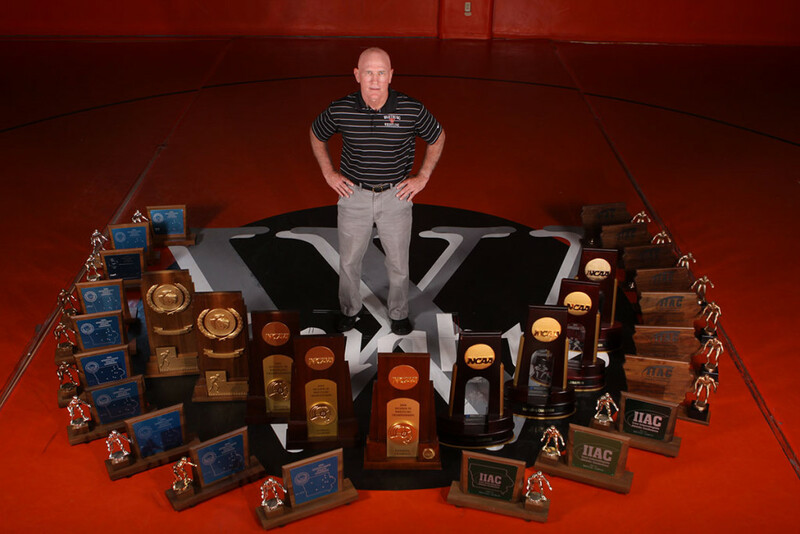 To inquire about having Coach Miller work with your organization, please contact Hope Elbert at 319-352-8491 or hope.elbert@wartburg.edu. Jim Miller is coach emeritus and instructor in Health & Physical Education at Wartburg College. Miller led the Knights wrestling team to 10 NCAA Championships , and 21 consecutive Iowa Conference titles. He specializes in speaking about motivation and sustained success. American Family Insurance – Madison, Wis., and New Orleans, La. Ag Reliant Genetics – St. Louis, Mo. “Jim ‘Milboy’ Miller was truly a pleasure to have speak to our organization. “Do it Anyway” is a slogan that we have adopted as a group. The professionalism and passion that he brings in his speeches resonated throughout the crowd. I would truly recommend Coach Miller for any organization that needs a reminder of what hard work and dedication are!”– Brad Schultz, TD Williamson Inc.